Made a quick run to Provincetown this morning (haircut time again!). It was nice in Eastham, but the clouds were piling in over the tip of the Cape, and it was raining by the time I arrived there. 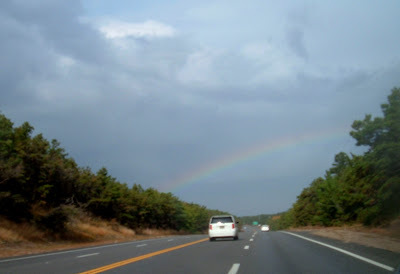 Of course, the upside of that was catching a rainbow arching across Route 6 as I headed in that direction. 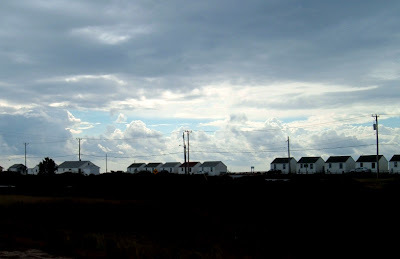 The weather improved some while I was there, but it was still an impressive day for cloud formations, like these over the Days Cottages in North Truro.